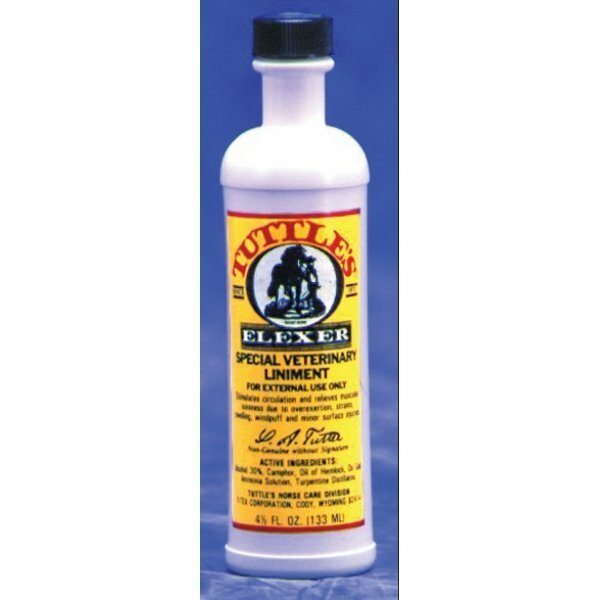 Tuttles Elexer is the only veterinary liniment made with ox gall and pure grain alcohol to cut sweat and soften the hide while essential oils stimulate circulation, relax the muscle system and relieve soreness after hard workouts. Tuttles Elexer Veterinary Liniment has different options and/or variations, please choose below. 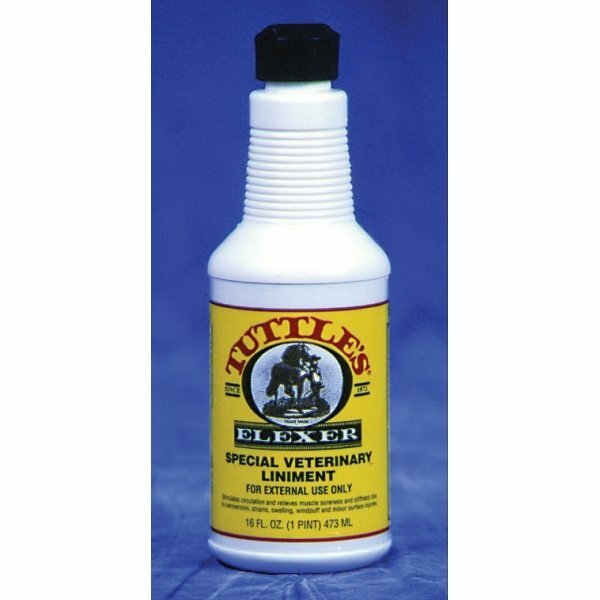 Tuttles Elexer is the only veterinary liniment made with ox gall and pure grain alcohol to cut sweat and soften the hide while essential oils stimulate circulation, relax the muscle system and relieve soreness after hard workouts. Hastens "cooling out" after racing. Use full strength as a counter irritant or dilute 4 1/2 ounces with one gallon of warm water for use as a brace/body wash. Leaves coat bright and glossy. Made in the usaAlcohol, Camphor, Oil Of Hemlock, Ox Gall, Ammonia, Turpentine Distillates.